18 holes of golfing fun!! Try for your Hole-in-One! 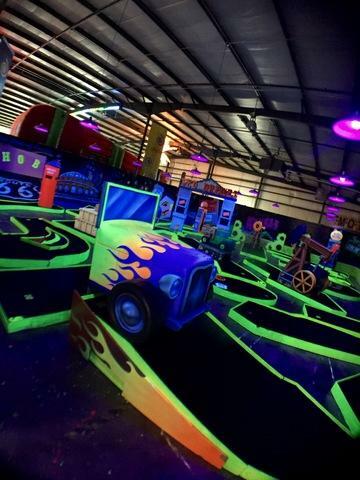 We have an awesome state of the art, 2,000 square foot black light mini-golf course!